Preceded in death by beloved husband Gerald “Jerry”; parents Ed & Clara Westphal; brothers Edward & Arnold; sister Virginia Seivert (Warren); brother-in-law Don Gebhard and nephew Tommy Seivert. Survived by nieces & nephews Larry, Jerry (Nancy), Gary (Kelly), Tim (Jeanie), Sue (Joe), Nancy (Jim) and Rick and other relatives and friends. Service Monday, January 7, 2019 at 11:00 am at HAZEL PARK UNITED CHURCH OF CHRIST, 1831 East Minnehaha Avenue with visitation one hour before the service. Interment Evergreen Memorial Gardens. Memorials preferred to church. 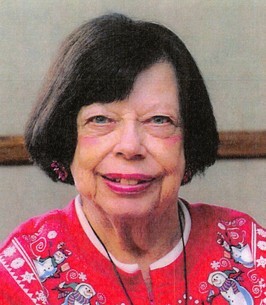 Provide comfort for the family of Arlene M. Jensen (Westphal) by sending flowers.